“Nothing sounds quite like an 8-0-8.” Those words, from the legendary Beastie Boys, sum up how pretty much all hip-hop, house, electro, and techno producers feel about Roland’s legendary drum machine. 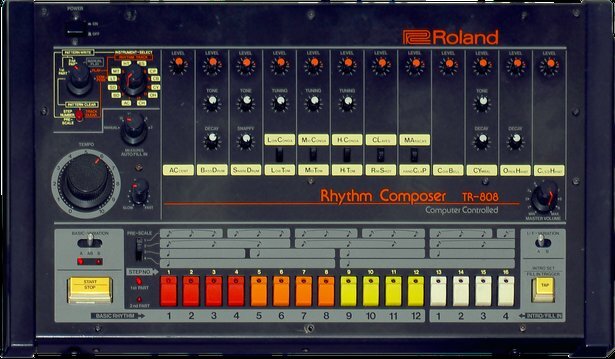 First introduced in 1980, the TR-808 (“TR” standing for “Transistor Rhythm” - now you know) was an all-analog drum machine, know for its bassy kick, snappy snare, tinny hi-hats, and a rather alien “cowbell” sound. Today - on August 8, aka 8/08 - we’re going to celebrate the legacy of this rhythm box, and share some of our favorite 808 tracks. Richie Hawtin as Plastikman plays “Spastik” at Detroit’s Movement Festival 2010. Phew. That’s it for us for now. But it’s not over for you - Live 9’s Drum Machines Pack comes with a multisampled 808 - go grab it and make your own 808 track! Then, don’t forget to share it with us on Facebook, Twitter, or Google+ - and tag #MadeWithLive.